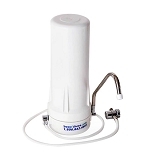 10" Fluoride, Chloramine, Heavy Metal Cartridge fits most standard 10" housings. The CeraMetix Specialized Ceramic and Carbon Block filter cartridge is the finest, most comprehensive filter cartridge we've found...ever. It will fit in any standard 10" housing including our standard counter top and under sink filter housings, however, it will not fit the AquaCera HCP or HIP housings and will not fit MultiPure housings. 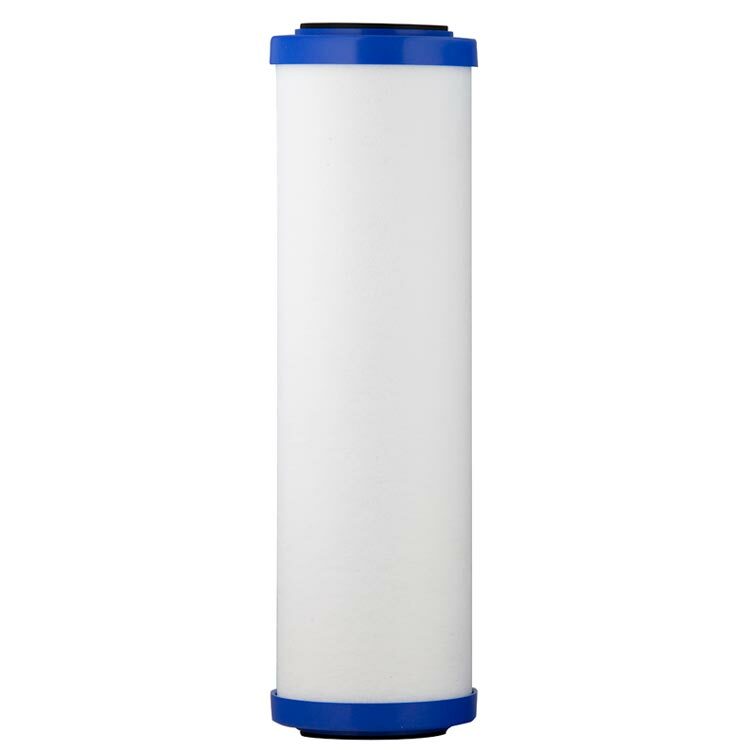 The CeraMetix Filter cartridge removes biological contaminants, heavy metals, fluoride, pesticides, bromine, chlorine and chloramine in drinking water. 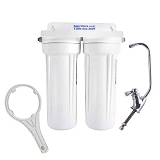 This filter reduces metal contaminants like aluminum, cadmium, lead, iron zinc, copper, arsenic, nickel, manganese, silver, chromium and mercury. In most municipal water supplies reduction will be in the 90-99% range. 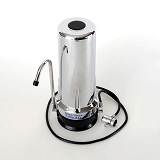 Use Coupon Code "wten" and save 10% on your water filter purchase. Listed below in "Related Items" are examples of our systems that can accommodate this cartridge. The CeraMetix cartridge can be used by itself or in combination with our other filter cartridges. Instructions for installing and use of the WRFLAR cartridge. This was my first time purchasing this replacement cartridge. 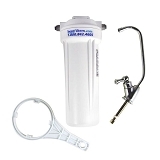 The water tastes great and this filter is worth the cost to remove what's necessary to clean pure water. I started using it on my houseplants as well instead of tap water and can see the difference, they are really thriving now! My new filter has been working just as well as my old filter. It's feels good to know that this filter is removing all those heavy toxins from my water. Living in the South is great, though the taste and quality of the water is not. My daughter offered her countertop water filter since she was buying a whole house water filter system. She bought my first filter from BESTFILTERS and I have done so for 4 years. This filtered water is the only water that goes into our bodies whether through cooking or drinking. It tastes great and I know it's safe for my family. This is truly the best cartridge .i have the water filter too. Excellent company,great service! Thanks. The filter works well, allowing water to flow freely and removes the chlorine oder from my water. I am amazed at how well this filter works. So much better than the one that came with the unit. This one filters out all the white filmy stuff and keeps my coffee maker looking clean and nice. No scale or hard water deposits have been forming since I got this filter. YAY! And it tastes AMAZING! Great tasting water. We have to use bottled water when we're away.